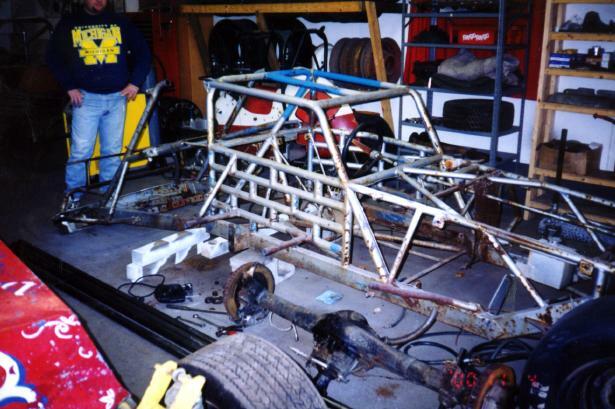 Terry Woodin of Battle Creek, Michigan, is restoring the Don Taylor "Pink Panther" modified. 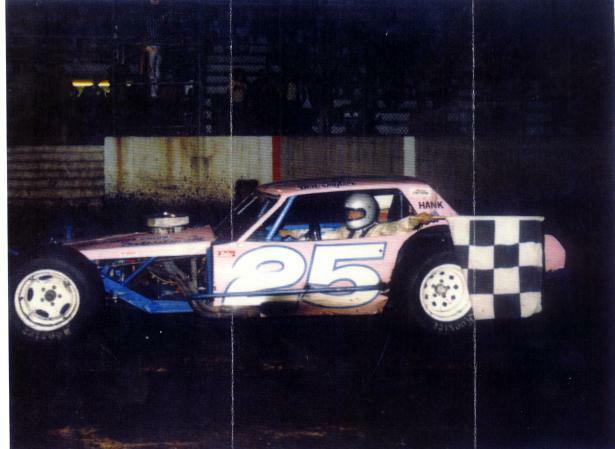 Terry writes in, "It was a late 70's modified that was driven by Don Taylor (pink panther #25 formally owned by Charlie Heath of Hillsdale) at the Butler Motorspeedway. To his best recolection, Charlie say's he bought the car at auction around 1979 or '80. He thinks the car was originally built by Howard Conkey at the Showcar Speedshop in Waterloo, New York. This I havent been able to prove because of Howard's passing a few yrs ago. If anyone who visits your web could give me any insight on the Old Pink Panther I would appreciate it. All I know is that it left New York, only raced once, then went to auction. It is a full 2x4 framed chassis, coilovers all the way around, tubular upper A,s and struts on the front lowers, has ford 9 inch with GN hubs, and GN hubs on the front. 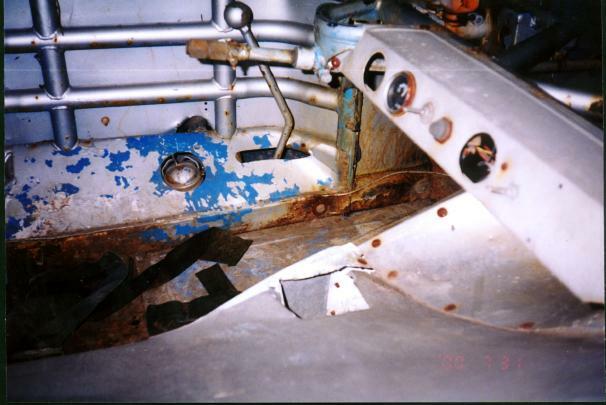 The car originally had a Mustang ll Body, was painted white with a Petty Blue interior. 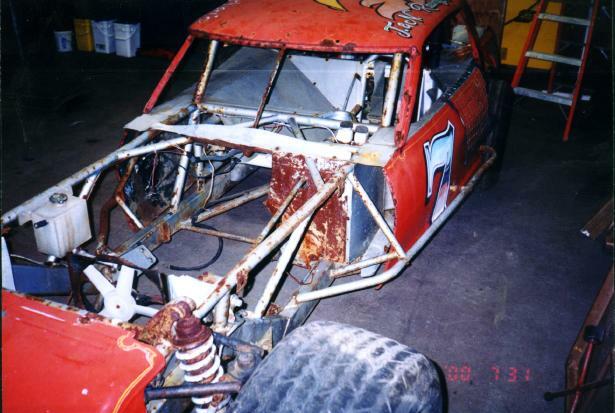 Car was Originally # 6. The only thing unusual about the car, is that the nose piece has a Lincoln Continental hood ornament that is original when the car was built." Don Taylor in the Pink Panther. Mid 1980's at Butler Speedway. Victory at Butler Speedway. Mid 1980's at Butler Speedway. The Don Taylor "Pink Panther" found 20 years later after a stint as a red #7 in the late 1980's. Rough, but very restorable. The car is now owned by Terry Woodin of Battle Creek. The Pink Panther totally dismantled, about to receive a new front clip. Race car fabricator and driver, Jim Woodin (Terry's son) has started fabricating a new rear clip. 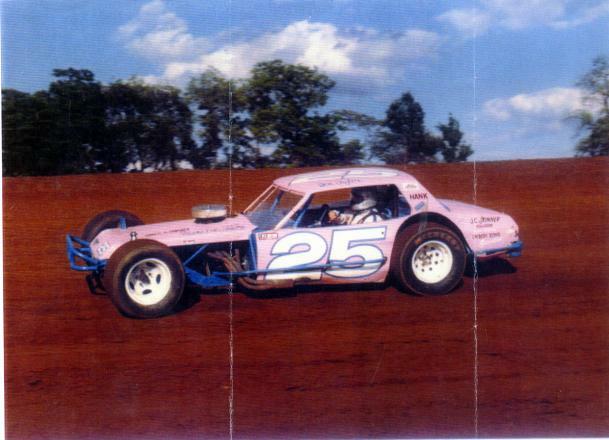 The Pink Panther was originally built in Waterloo, NY by the late Howard Conkey at Showcar Speed Shop. 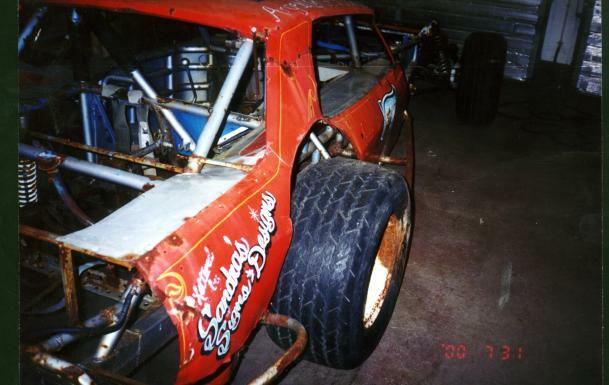 It was originally a pavement NASCAR modified.